The idea that man is capable of the extraordinary dominated the Renaissance in Europe. Largely linked to the idea that “man was the measure of all things,” the human body, mind, and spirit were considered incredibly valuable. This philosophy of humanism finds few adherents today in our spectacle-driven media and in an era where technology takes us further than we believe human beings are capable of going. On October 14, 2012, I was reminded of how sheer determination can drive the capabilities of mankind. 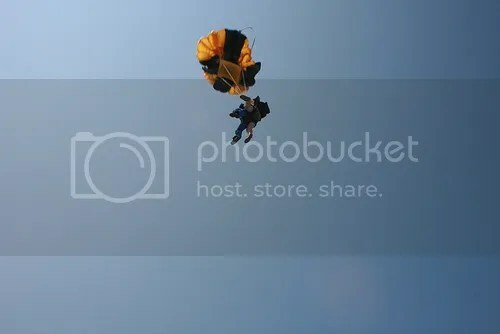 A man fell from the sky for little over nine minutes, jumping from a world record of 128,100 feet in the air, traveling at 834 miles per hour, breaking the speed of sound (for the first time ever). That man was Felix Baumgartner. This man proved that human beings are still capable of capturing the imagination through sheer effort and determination. His acts did not cure cancer or bring world peace—he simply fell from astonishing heights at an incredible speed. But, just as Neil Armstrong had taken a step on the moon, every man, woman, and child should be inspired to remember that man is the greatest miracle of all, something that Mr. Baumgartner embodies entirely. In this year’s media cycle, nothing has stood out more than the 2012 presidential election between Mitt Romney and Barack Obama. Headlines endlessly discussed the candidates, their campaigns, and their gaffes. Rarely was anything else considered worthy of interest in the news with its 24-hour cycle. Squeezed in were the occasional tech world and international conflicts. This year, a man did the incredible through his belief that he was capable. In witnessing this breathtakingly astounding record, that man could reach for the stars (or fall from the sky), we are reminded that the world is full of possibility and wonder. With my full thanks, I endorse Felix Baumgartner as Time’s Person of the Year for 2012.